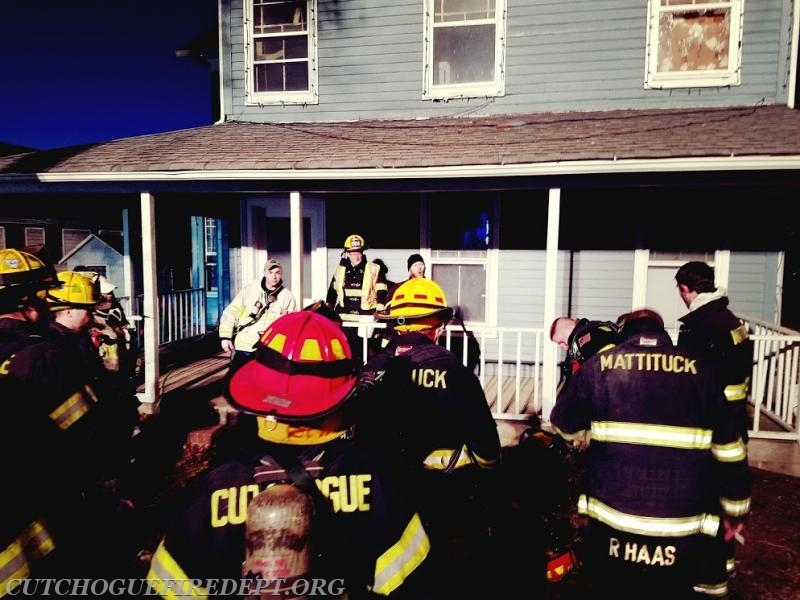 On Monday March 19th, CFD Firefighters were invited to join the Mattituck Fire Department for a night of training. 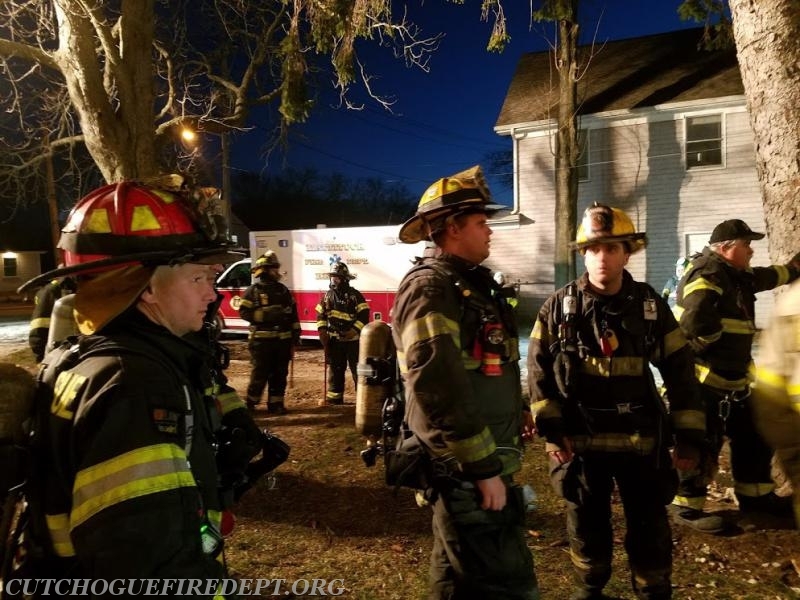 The training took place at a house scheduled to be demolished on Mattituck Fire District Property.. 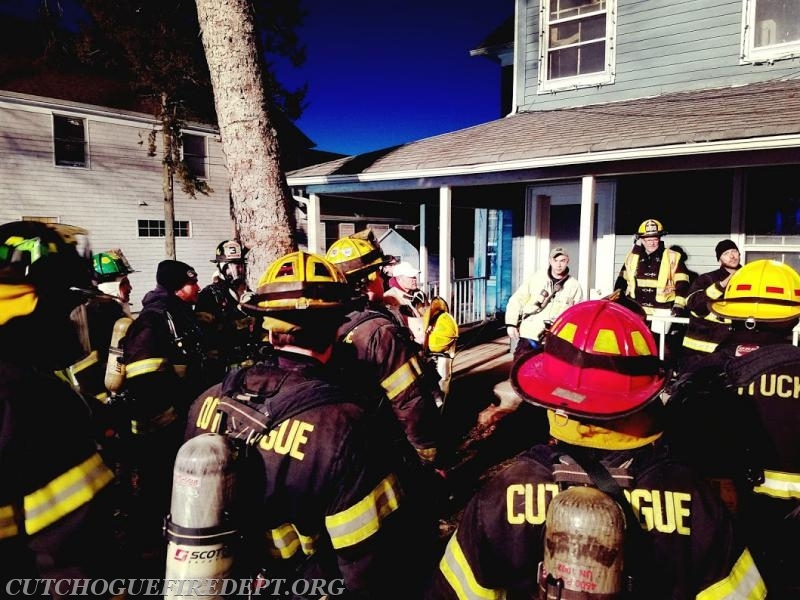 The training focused on search and rescue techniques. 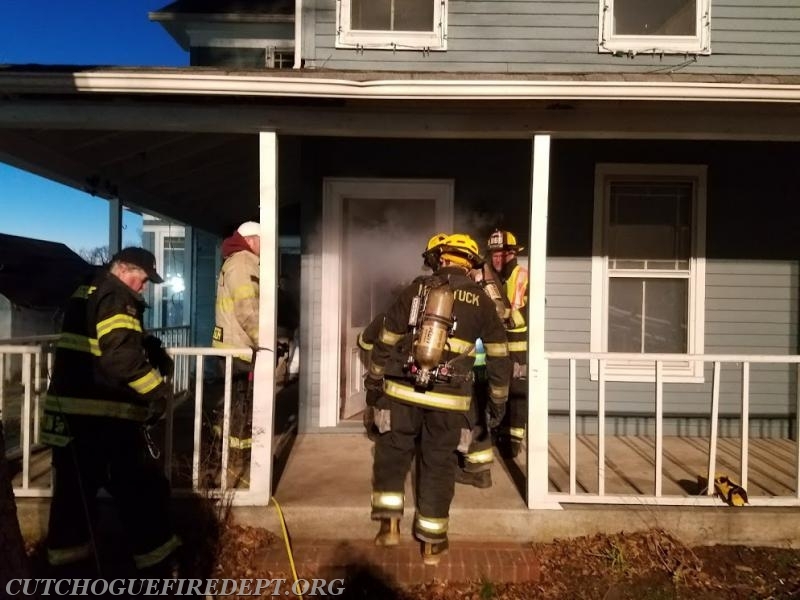 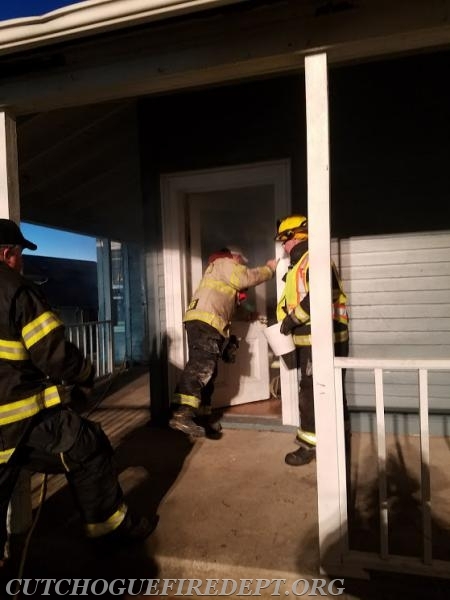 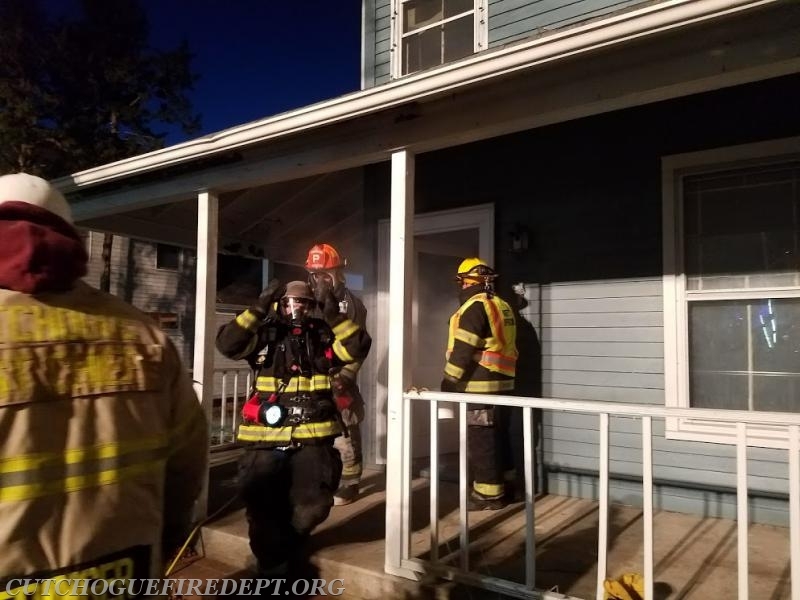 During the scenarios, the teams navigated through the home which was filled with theatrical smoke to affect the rescue and removal of simulated victims from the building. 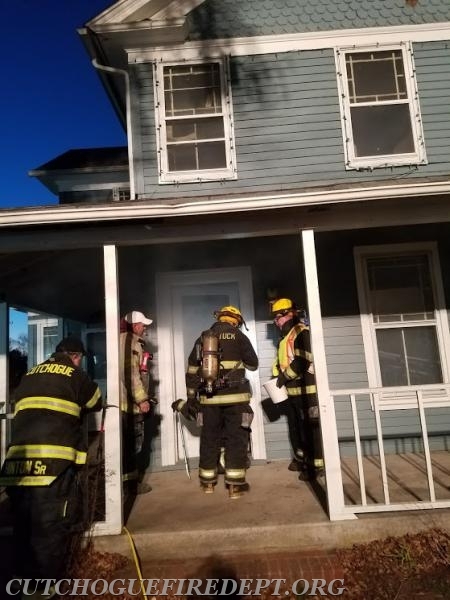 The drills lasted for over 2 hours and also included firefighters from the Jamesport FD. 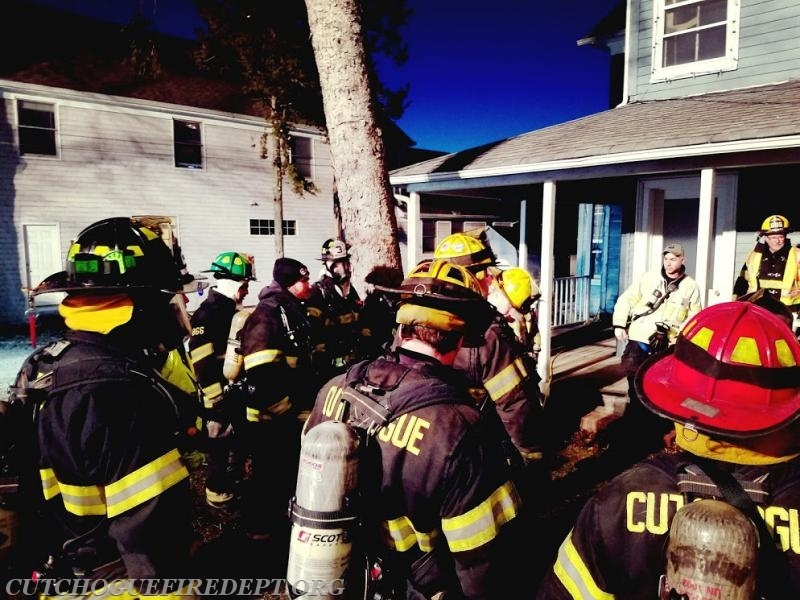 These types of drills give neighboring departments the unique opportunity to practice their skills together. 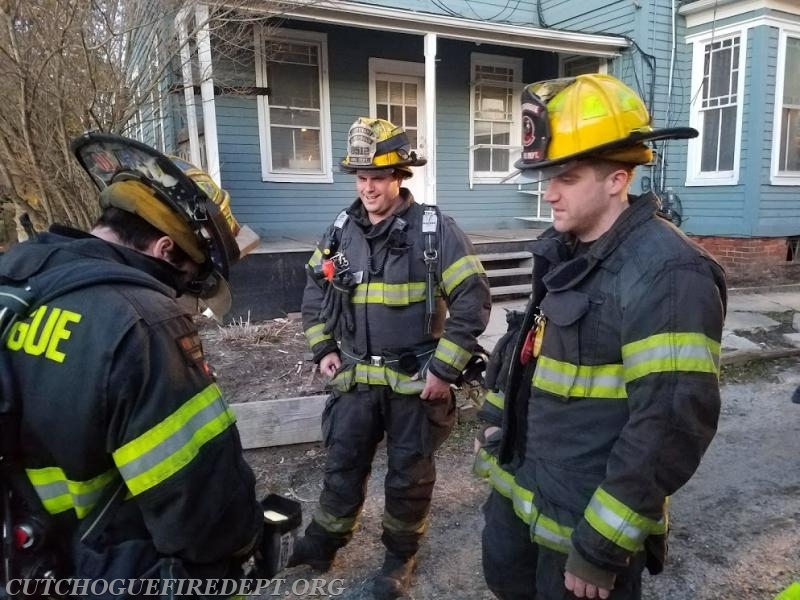 It also allows them to share and understand each particular departments polices and procedures in preparation for real emergencies. 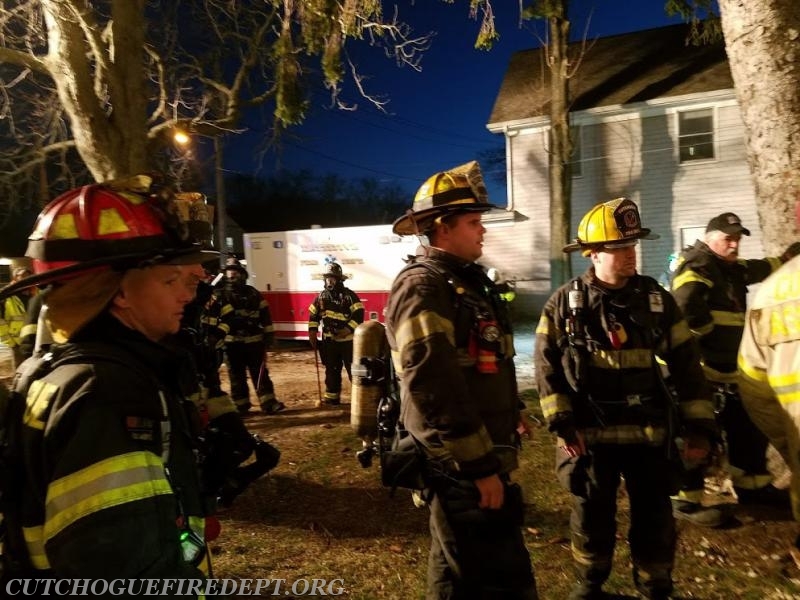 The Officers and Members of the Cutchogue Fire Department would like to thank Chief Ruggnetta and the members of MFD for giving us the opportunity to be a part of your drill night and we look forward to more joint trainings in the future.